This past weekend I decided to make a little Book Nook for Joey. He is so into books right now- which I love! Every morning when he wakes up, the first thing he will do is grab a book out of his bin and come sit in our lap with it. He then yells 'boooook, boooook' and hit you with it until you read it to him. He's alittle impatient and likes to turn the page before you even get done read it, but hey.. I don't mind. I originally saw the idea from Jordan at Jordan & Co. and thought this would be perfect to mix up our books for each season! 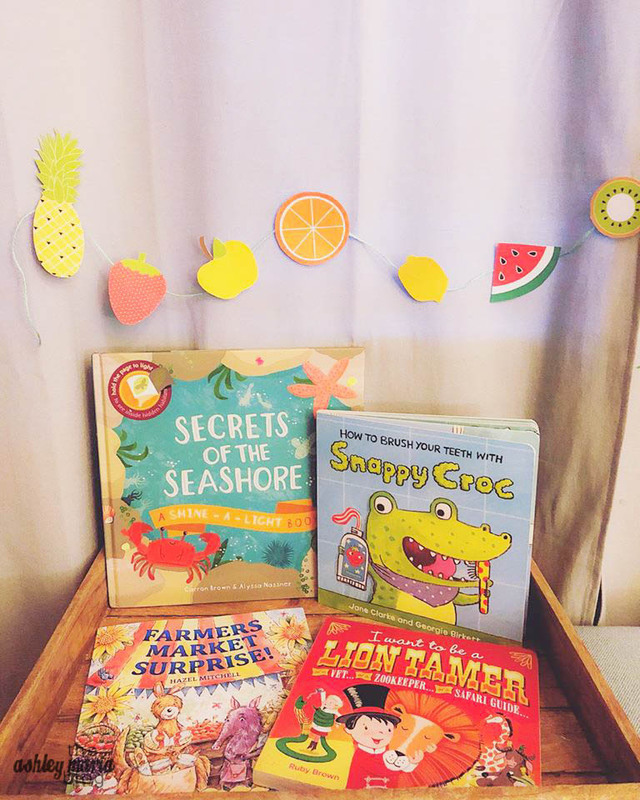 All the books were purchased through a Usborne Book party or you can check them out here! They have so many options! I can't wait to change this out each season for Joey! Do you have any suggestions on good summer books?